An open invitation is made to all the scientists and investors from all countries of the world to participate in this project. 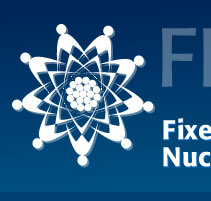 There are no restrictions as it is being developed under the auspices of the International Atomic Energy Agency (IAEA). The participants are merely interested in generation of safe, clean, and economic energy at the service of human development. 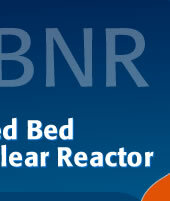 The deployment of innovative reactors in the countries that have limited nuclear infrastructure could be facilitated if the reactor were fabricated and operated by an international institution such as World Nuclear Energy Company (WONEC) and they could be delivered to the users as a “black box”. Global standardization of requirements and regulations could facilitate cost reductions by mass production. (6) have no nuclear technology with no immediate need for innovative reactor but with interest in developing an innovative reactor considered as an investment. It is desirable that a World Nuclear Energy Company (WONEC) be formed to become a catalyst in organizing and coordinating the world-wide existing and to-be-created scientific, technological and industrial elements in order to supply the world with clean and safe nuclear energy. WONEC can supply the world with the proposed inherently safe nuclear reactors and will be responsible for its entire fuel cycle. It is to function as a commercial as well as scientific venture with highest international standard. Its shares can be freely traded in the international financial market. WONEC is to operate under auspices of the International Atomic Energy Agency. WONEC by the nature of its policies, compositions, and adopted legal and ethical values will have the conditions and credibility to supply nuclear energy and create public confidence in nuclear energy. The research and development needed are to be performed by the participation of all the interested companies and research organizations of the world. It is to be done in a true spirit of international cooperation and service to humanity. Nuclear technology no longer is a monopoly of any single or group of nations and to various degrees most nations posses them. A new method of consultation and decision making process will be applied in order to safeguard the interest of all. The participants will not need to control WONEC to have their interests guaranteed. The project is to remain a totally scientific, industrial, and economic venture, avoiding dominating national politics, and remain in conformity with the spirit of the new age and the presently growing international desire for world peace. The developing countries are expected to show great interest in participating in WONEC since in this way they will acquire nuclear power without the fear of being exploited by the vendors or making very large investments for an independent national nuclear program. The industrialized countries are expected to support the idea as well, since their existing reactors are not selling well, and by participation in WONEC they will benefit from the sales of their technologies to WONEC and partake in a very large nuclear reactor sales market worldwide. Also the problem of nuclear proliferation which is of their great concern will be under control. The WONEC is to operate in the spirit of the new era providing the citizens of the world with clean and safe nuclear energy.